Toyin Aimakhu and her new man, CEO of Ebony Films Seun Egbegbe must be so in love as reports have it that they are getting set to walk down the aisle in months ahead. The new couple, who were first rumoured to be dating in November last year, became exclusive a few days ago after Toyin confirmed their relationship on social media. Now, reports are in that the two are already planning to get married. According to Naijagist, Seun and Toyin have been friends for years now and he recently proposed to the 31- year-old actress who agreed to marry him. The love-birds will reportedly be tying the knot in an intimate wedding ceremony in Dubai. 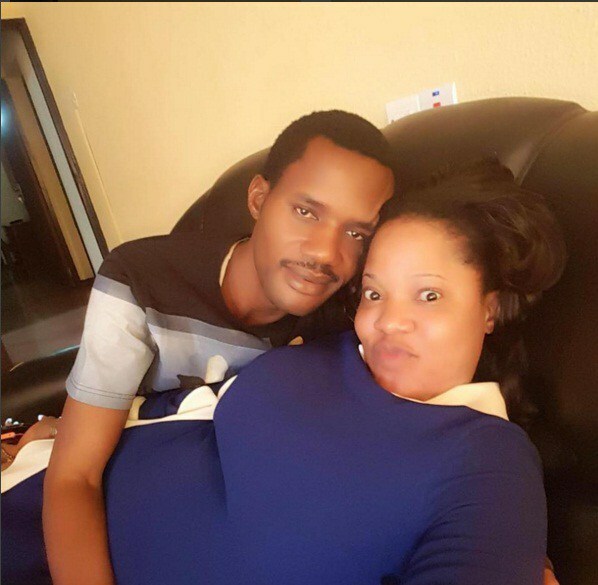 Toyin is also said to be living with Mr. Egbegbe in his house at New Bodija estate in Ibadan. Toyin was married to Tinsel actor Adeniyi Johnson for two years but the couple split last year after Johnson was caught cozying up with another woman. Ironically, Toyin announced to her fans at the beginning of the year that she didn’t want to hear any talk of marriage — we wonder if she has had a change of heart?